"Locking" displayed as "Lock Duration" is an optional setting that QPilot Merchants can configure for each site connected to their QPilot Merchant Account. Note: This setting is only accessible when logged into the QPilot Merchant Account and is not available to change within WP-Admin. Lock Duration is defined as the number of days prior to processing a Scheduled Order that customers will be unable to alter their order. This setting is optional and is disabled by default. Leave this setting blank to disable order locking. What happens when I set Lock Duration (for example, to 5)? If you set Lock Duration to '5', then any Scheduled Orders that have a Next Occurrence Date within 5 days will not be able to be changed by the customer. 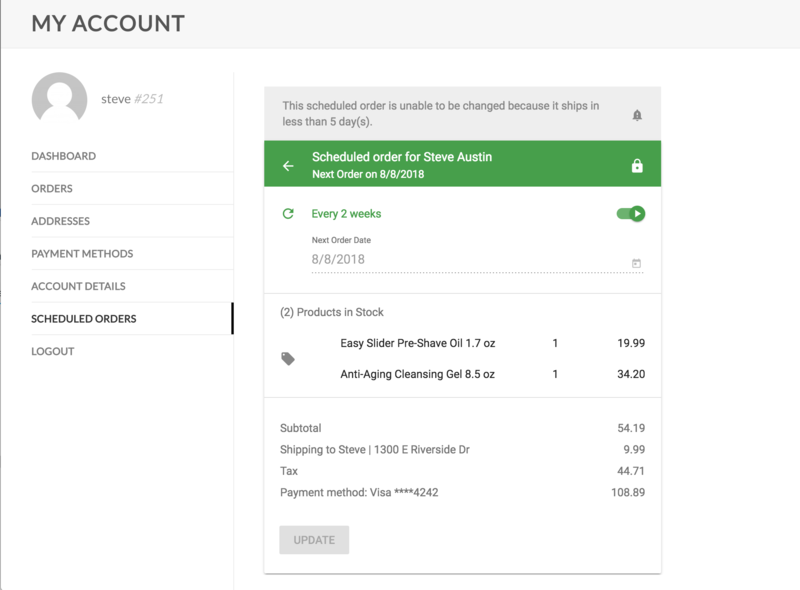 Customers can still view their Scheduled Order, but if it's scheduled within the Lock Duration (Next Occurrence Date within the next 5 days), they will not be able to make any changes to it until the Scheduled Order has processed and the Next Occurrence Date has passed. What does this look like to the customer? 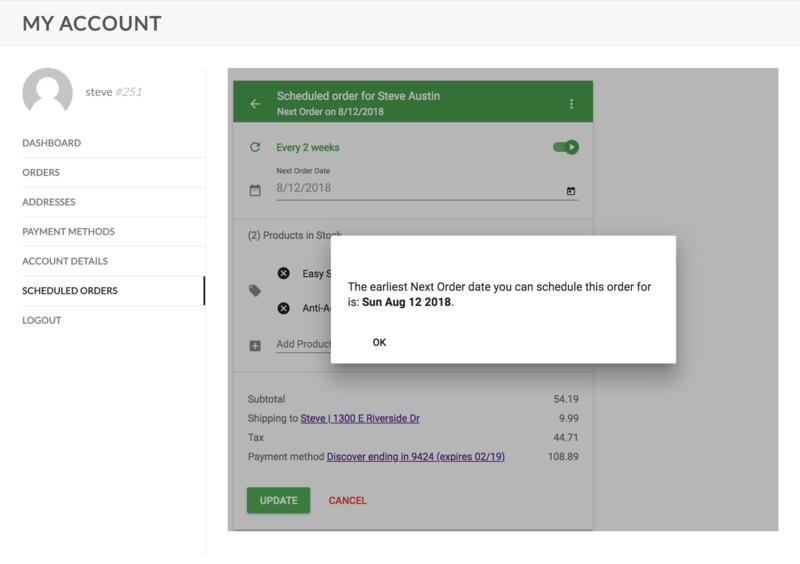 Customers can still view the details of the Scheduled Order but are unable to change any detail of the Scheduled Order until after it has processed. What if a change needs to be made to a Locked Scheduled Order? Admins can still make changes to Scheduled Orders that are Locked by editing the Scheduled Order. This is the best way to support a customer who may need a quick item change to be made before the order is processed and shipped, or to update the payment method in the case where a Scheduled Order fails for payment and needs to be updated and retried immediately (within the Lock Duration period). What if the Scheduled Order fails to process? If the Scheduled Order fails to process after being locked, the Scheduled Order will be "paused" for your customer. When the Scheduled Order is paused, the customer can make changes to the Scheduled Order, but the Scheduled Order cannot be resumed within the Lock Duration period. Instead, the customer will be prompted and notified of the next earliest date outside of the Lock Duration period.